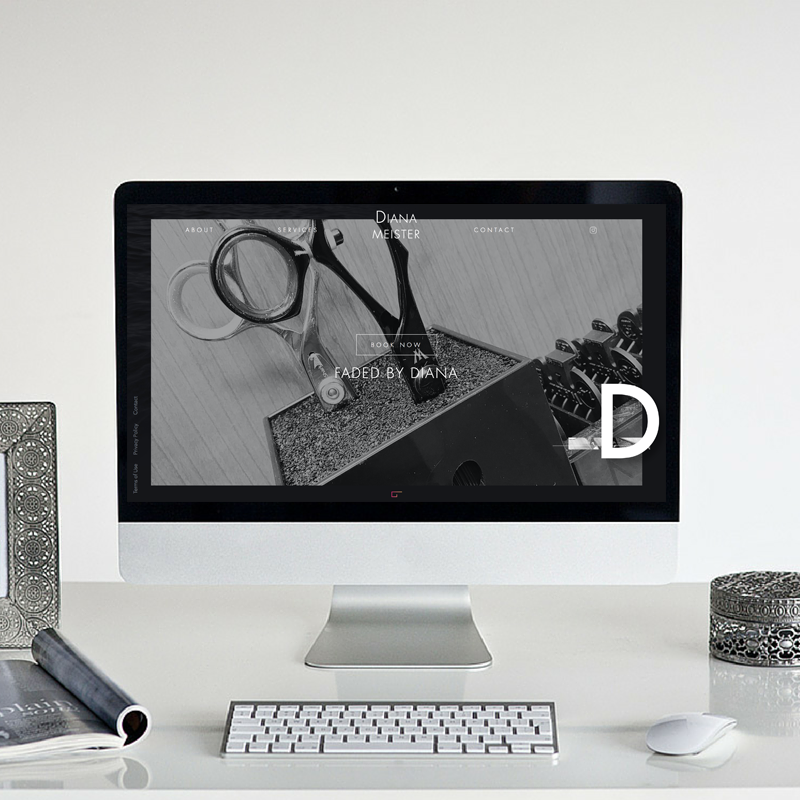 Our Personal Site of this Week is Diana’s. About Diana: Diana is a #GlossBoss located in Sioux Falls, South Dakota. She specializes in men’s grooming, offering haircuts, beard trims, grey blending, and waxing services. Recently, she’s also begun providing women's services as well, including: haircuts, highlights/lowlights, colors, styles, and waxing. It’s relevant. The focus of the photo, the scissors -- conveys what Diana’s expertise is as a hair stylist. It suits her audience. The greyscale photo creates a classic, neutral vibe that fits her predominantly male customer base. Diana maintains a minimalist vibe to her website by providing no description or photos of her services. Although this does not work if services are hard for people to understand (e.g. balayage), the way that Diana names her services very simply enables her to do this. On the top right of her website, she also links clients to her Instagram page. This makes it easy for clients to find pictures of Diana’s services, even if she has chosen not to display photos with her services on her website to keep a minimalist tone. Want to set up a personal booking site like Diana’s? Sign up for your free 14-day trial of GlossGenius here!